There are 12 sessions in the 2nd Term (2019). See all dates on the event page for the first class. It’s best to start at the beginning and attend regularly. 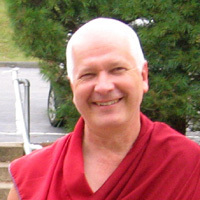 A general background in Buddhism is expected, either from participating in the Discovering Buddhism program or from general lam-rim instruction.